Dave and I spent the weekend in Southern Ohio for the wedding of one of our friends from law school. Lucky for us between recommendations from a coworker and the bride we had a blast visiting various venues in-and-around Cincinnati. 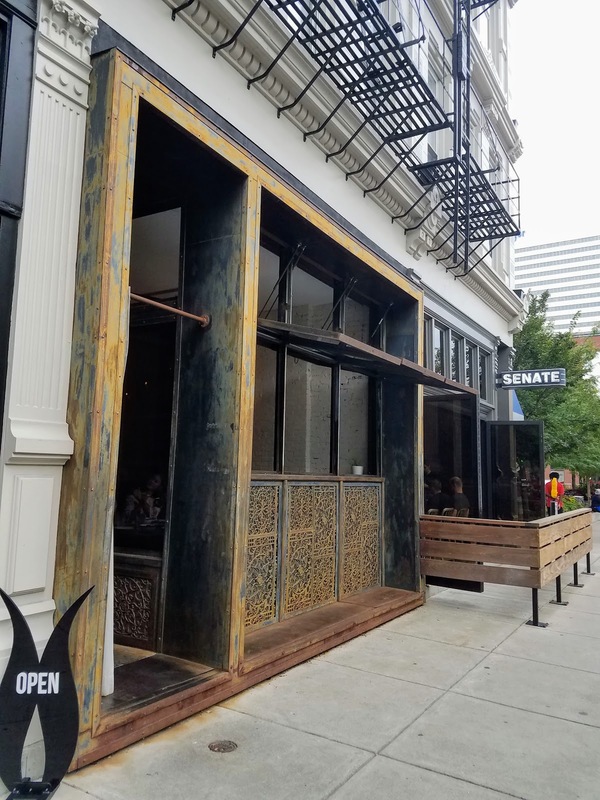 The Over-The-Rhine neighborhood came highly recommended and Abigail Street had plenty of vegetarian options as well as great reviews on every site I checked. 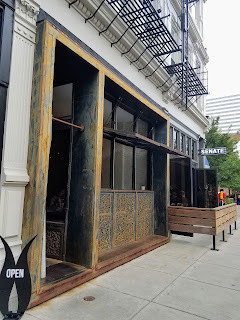 I was worried that we would end up on the wait list, but we arrived at 5:45 and were able to get a table; however, by the time we left Abigail Street was full. 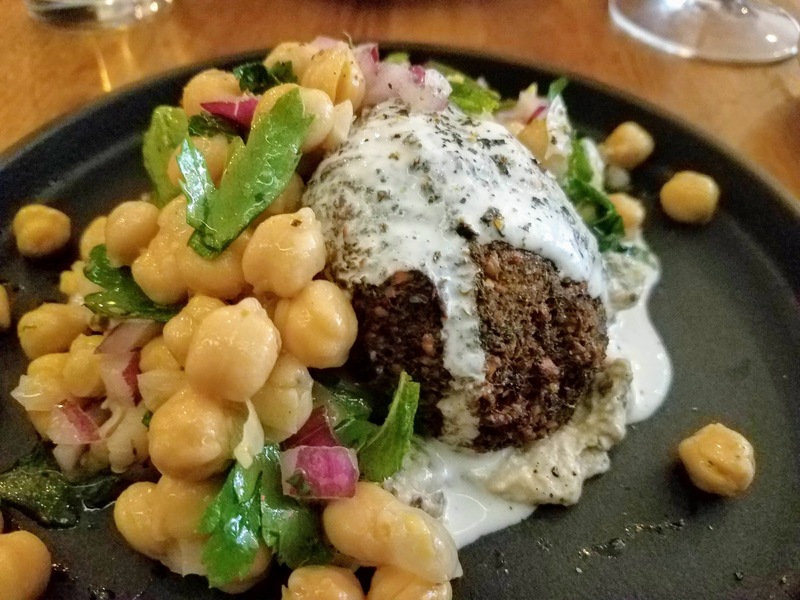 Founded in 2011, Abigail Street focuses on a tapas style menu with a Mediterranean influence. Our server let us know that the menu does rotate, so some of the options that we tried may not be available at all points during the year. I really don't think that you'll be disappointed with the menu either way. We found the concept to be unique, while we've been to tapas restaurants in other cities we still haven't found one that we love in Northeast Ohio. Abigail Street left us wishing that we lived closer and is worth the trip. 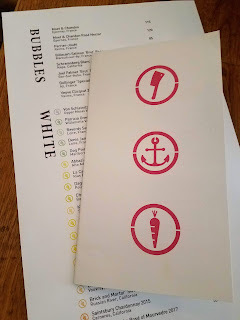 I loved the icons that were used throughout the logo and the menu. 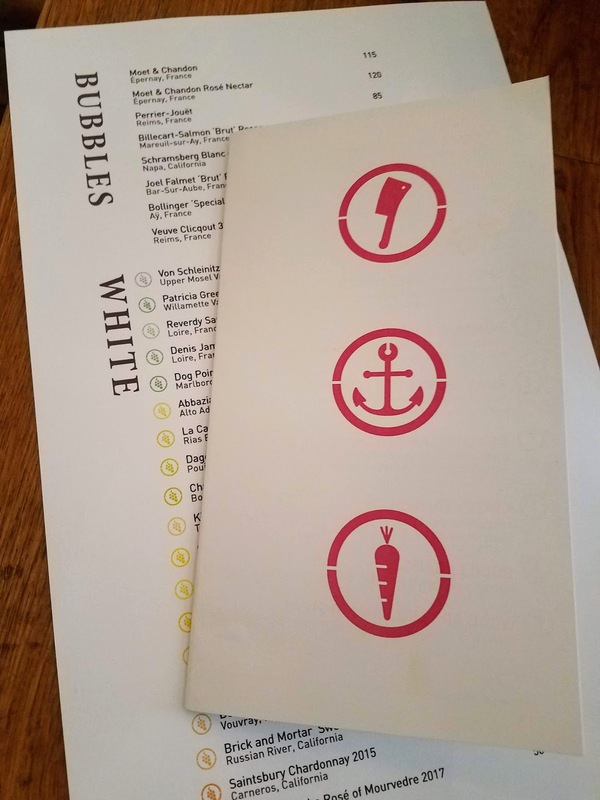 A cleaver for meat; an anchor for fish; and a carrot for vegetarian options. It made decisions a breeze. 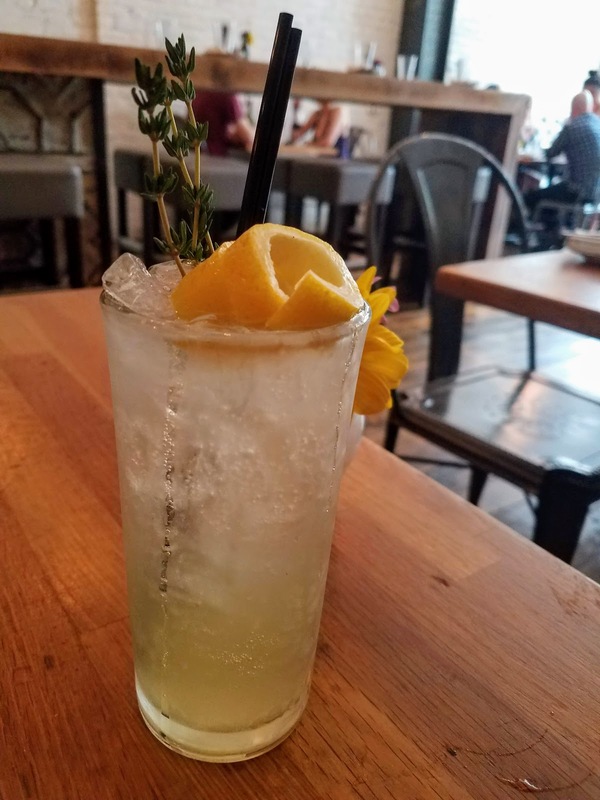 Abigail Street offers wine on tap, bottled beer, and crafted cocktails. 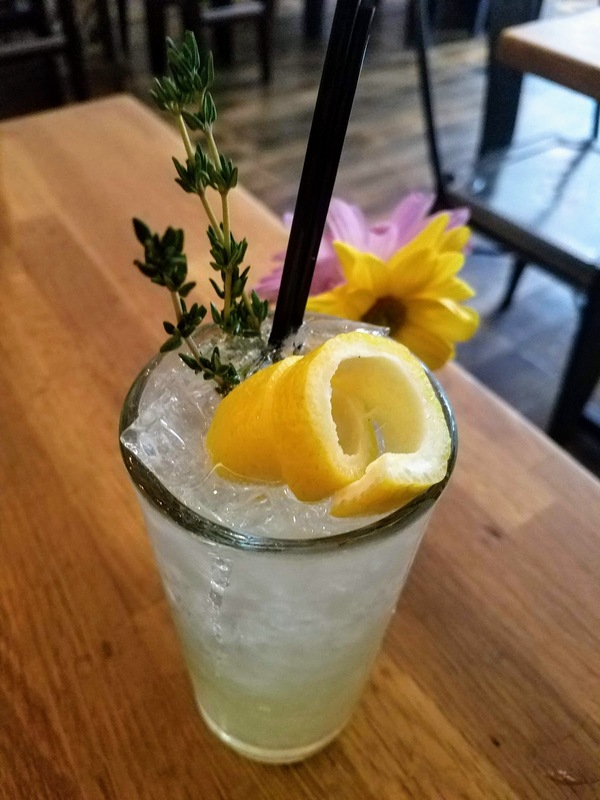 I ordered the Lemon-Thyme Fizz with vodka instead of gin. The drink was light and the perfect summer cocktail option. 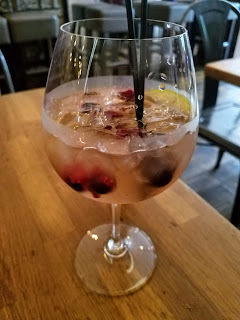 And Dave ordered the Sangria Del Dia with wine, ginger, and peach. Dave enjoyed how light and crisp the sangria was and was happy with his choice. 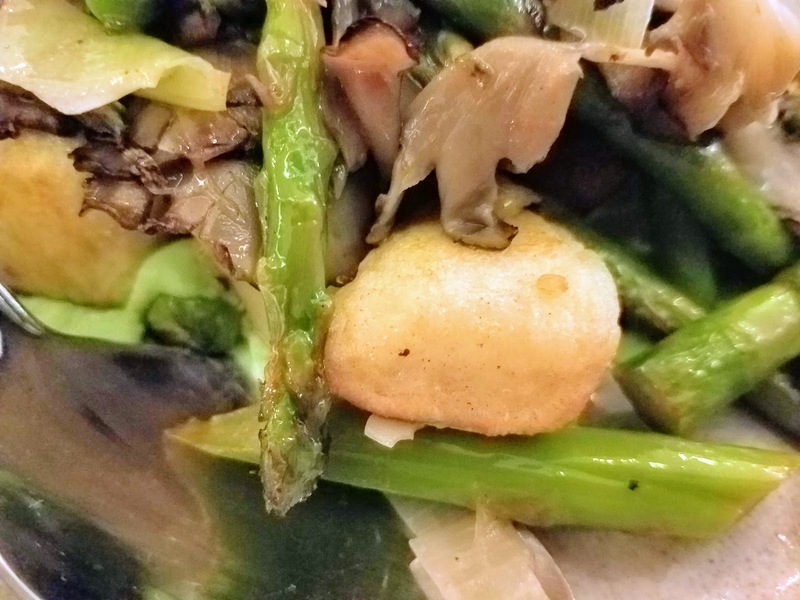 It was recommended that we ordered two tapas per person, but since we knew that we would be headed to a few other places we ended up selecting three tapas to split. It was difficult to narrow it down. 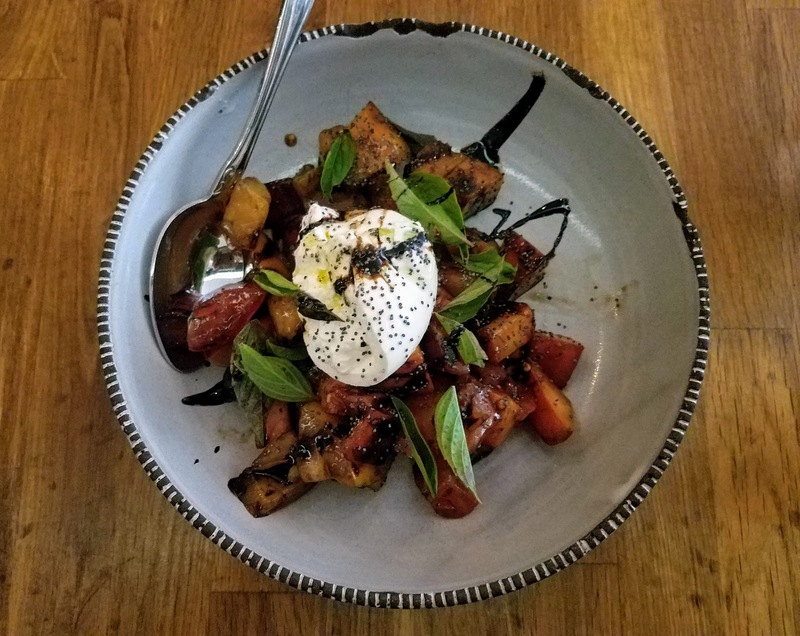 "Local heirloom tomatoes, peach, burrata, basil, bread crumbs, poppy seeds & balsamic reduction." 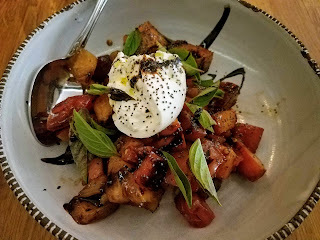 This might have been the option that I was most excited for, the tomatoes and peaches went together well and the burrata and balsamic helped tie all of the ingredients together. Dave appreciated the textural element added by the poppy seeds. "Crispy chick pea fritters, fire roasted baba ghanoush, mint, onion, tahini & chick pea." 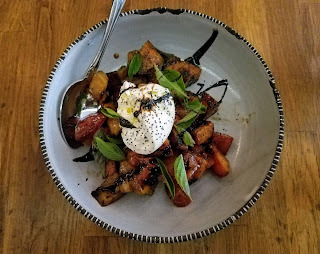 This was the dish that we mutually agreed to order. The falafel had a nice color and plenty of parsley. 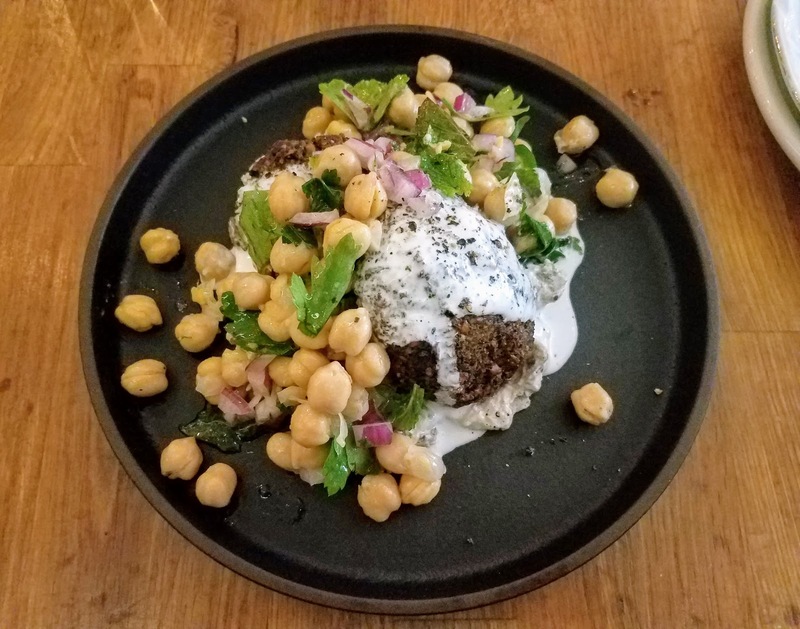 The falafels were crisp and the sauce added additional flavor. "Potato ricotta gnocchi, mitake mushrooms, melted leeks, Basil-pea puree, asparagus & brown butter." 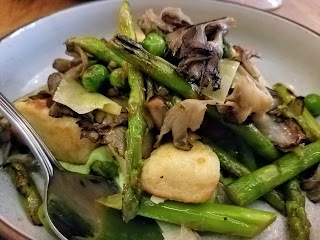 This final dish seemed to be the most complex, the gnocchis were crisp on the outside and pillowy on the inside. The sauce helped to tie everything together, but a composed bite of the gnocchi, mushroom, asparagus, and sauce was amazing.